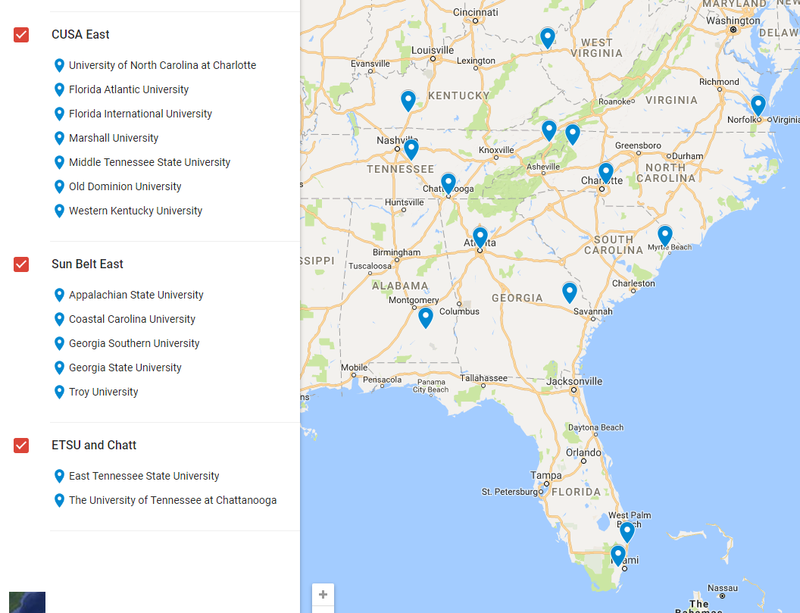 (05-23-2017 03:01 PM)brock20 Wrote: And here would be the footprint of a new conference if CUSA and Sun Belt ever decided to swap divisions. In this scenario ETSU would be in the North division of this conference with Marshall, Old Dominion, App State, MTSU, Western Kentucky, and either Chatt or Charlotte. Lots of things would have to happen for this to come true but it should be something that ETSU should shoot for. Those are the schools who ETSU should be aligned with and have been at one time.